PennsylvAsia: Fairy Tale: Dragon Cry (劇場版 フェアリーテイル -DRAGON CRY) in Pittsburgh, from August 14. 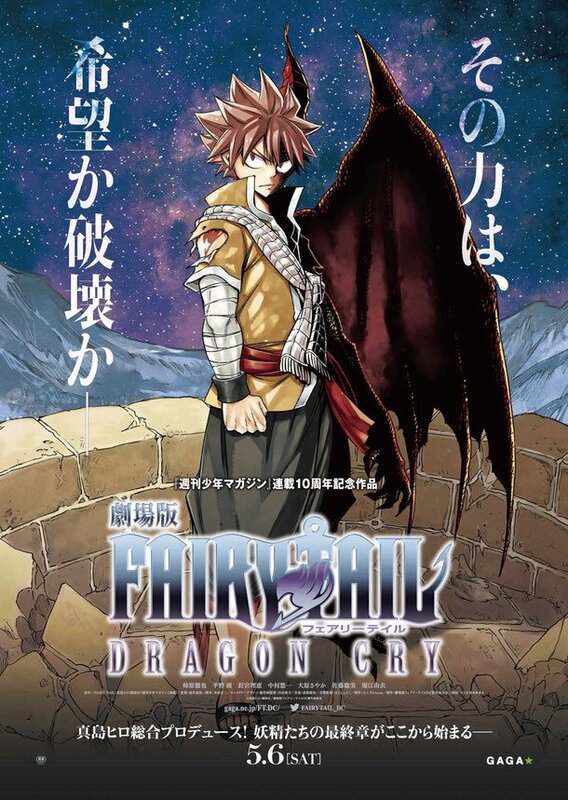 Fairy Tale: Dragon Cry (劇場版 フェアリーテイル -DRAGON CRY) in Pittsburgh, from August 14. Fairy Tail: Dragon Cry movie brings back your favorite gang—Natsu, Lucy, Erza, Gray, Wendy, and the Exceed sidekicks—for a new tale filled with action, adventure, and hilarious hijinks. When the “Dragon Cry,” a staff with the power to destroy the world, is stolen, there’s only one team of wizards up for the job. Dark secrets, new enemies, and fiery fights await! The movie was released in Japan on May 6. via the Southside Works Cinema website and Fandango for the Monroeville screenings. The subtitled version will play on the 14th while the English dubbed versions will play on the 16th and 19th; Southside Works is advertising other dates but has not released details on the language, so please confirm before purchasing tickets. Southside Works Cinema is located at 425 Cinema Drive in the Southside, one block from the Hot Metal Bridge (map). The Cinemark in Monroeville Mall is located at 600 Mall Circle Drive (map), roughly 15 minutes east of Pittsburgh.